1964, 31-year old Salvatore Philip Bono married 18-year old Cherilyn Sarkisian La Piere. 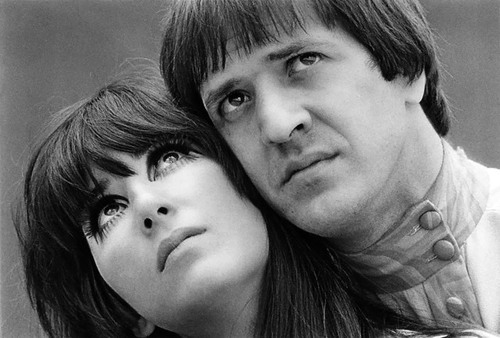 For a time they performed together as Caesar and Cleo before changing the name of their act to Sonny and Cher. Their union lasted twelve years. 1966, The Four Tops were at number one on the UK singles chart with “Reach Out I’ll Be There.” It was the group’s only UK chart topper. 1967, The James Gang played at the Grande Ballroom in Detroit, Michigan. 1969, Muddy Waters was seriously injured in a car crash in Champaign, Illinois. Three people were killed in the accident. 1969, A documentary film called Shadows Of Bliss is broadcast on BBC-2 TV’s Horizon series. The program deals with recent discoveries about sub-atomic particles and features music by Pete Townshend and Terry Ralph Knight. 1969, Ringo Starr begins recording his album Sentimental Journey. Following the completion of Abbey Road, he becomes the first Beatle to formally embark on a solo album. 1970, Black Sabbath played their first ever-live show in the US when they kicked of a 16-date tour at Glassboro State College in New Jersey. 1971, Pink Floyd played at the Auditorium Theatre in Chicago as part of their North American tour. 1972, The Moody Blues appeared at the St. Louis Arena in St. Louis, Missouri. 1973, Gladys Knight and the Pips started a two week run at number one on the singles chart with “Midnight Train To Georgia.” The record won the 1974 Grammy Award for Best R&B Vocal Performance By A Duo, Group Or Chorus. It was the group’s 18th Top 40 hit and first number one. 1973, Mott the Hoople, supported by Aerosmith appeared at The Orpheum Theatre, Boston. 1974, KISS performed at the Agora Ballroom, Youngstown, Ohio. 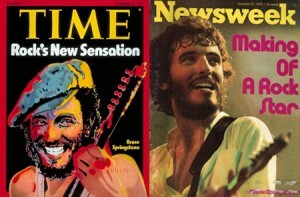 1975, The publicity and critical acclaim following the release of Born To Run resulted in Bruce Springsteen being honored with simultaneous covers on both Time and Newsweek magazines in the US. 1976, Frank Zappa played at Music Hall in Boston. 1977, AC/DC appeared at Free Trade Hall, Manchester, England. 1978, Bob Dylan appeared at Wings Stadium, Kalamazoo, Michigan. 1979, During a US tour Elton John collapsed on stage at Hollywood’s Universal Amphitheatre suffering from exhaustion. 1980, former T Rex member Steve Took, choked to death on a cherry stone, after some hallucinogenic mushrooms he had eaten, numbed all sensation in his throat. 1980, Mark David Chapman purchases the five-shot Charter Arms .38 Special he will use to kill John Lennon. 1981, The Allman Brothers Band appeared at the Saenger Theatre, New Orleans. 1982, Van Halen performed at The Centrum, Worcester, Massachusetts. 1984, The Grateful Dead allocated a specific recording area for fans to bootleg the show in Berkeley, California. 1988, U2’s film Rattle And Hum, received its world wide premiere in the group’s hometown Dublin. 1988, Def Leppard played the final show on their 232-date Hysteria world tour at the Tacoma Dome, Tacoma, Washington. 1990, Paul Simon started a two-week run at number one on the UK album chart with The Rhythm Of The Saints, his third UK chart topping solo album. 2006, Amy Winehouse released her second and final studio album, Back to Black. The album spawned five singles, “Rehab,” “You Know I’m No Good,” “Back to Black,” “Tears Dry on Their Own,” and “Love Is a Losing Game.” It won Best Pop Vocal Album at the 50th Annual Grammy Awards. Back to Black sold 3.58 million copies in the UK alone, becoming the UK’s second best-selling album of the 21st century. Worldwide, the album has sold over 20 million copies. 2006, Pete Townshend and Roger Daltrey are interviewed on BBC Radio 4’s Front Row program. 2009, Eric Clapton pulled out of Rock and Roll Hall of Fame concert in New York City after he underwent an operation to remove gallstones. His place at the Madison Square Garden gig was taken by Jeff Beck. 2011, Liam Gallagher’s Carnaby Street clothing store Pretty Green hosts an exhibition inspired by the Who album Quadrophenia. It features a specially made parka for the event along with Pete Townshend’s notes, desk diaries, photos and original lyric sheets related to the album. 2013, Velvet Underground frontman Lou Reed died at the age of 71. 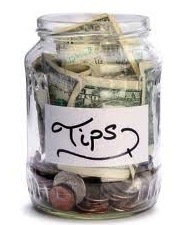 An admitted hard drinker and drug user for many years, he underwent a liver transplant in Cleveland in April 2013.